The study aimed to assess the time of labour onset and its symptoms as perceived by women in labour and midwives, and the relationship between these and first stage duration. 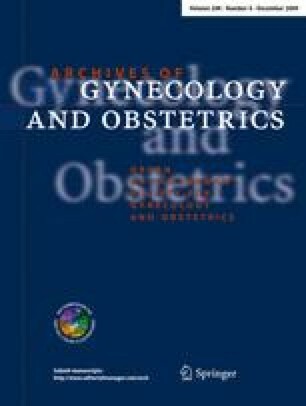 A longitudinal cohort study of women with a singleton pregnancy in cephalic presentation was performed in 41 maternity units. The sample comprised 1,170 women, 611 nulliparae (np) and 559 multiparae (mp), who answered two standardized questions on the onset of labour and selected the applicable symptoms of labour onset from a list of eight. A multivariate Cox regression model was computed covering further perinatal factors. The median durations of the first stage of labour as assessed by the women themselves were 11 (np) and 6.5 h (mp), and as assessed by the midwives 7 (np) and 4 h (mp). Median time intervals between the start of labour onset symptoms as perceived by the women concerned and the midwives’ diagnoses varied greatly: the shortest related to watery fluid loss (np = 1.5 h, mp = 0.0 h), the longest to alterations in sleep patterns (np = 11.5 h, mp = 4.5 h). Irregular pain, watery fluid loss and the time between self-diagnosed and professionally diagnosed onset of labour were just as closely associated with the duration of the first stage of labour as perinatal factors. Significant perinatal factors were induction with oxytocin, herbal remedies and PROM. The perceptions of women in labour are as important as perinatal factors in determining the duration of the first stage of labour and should be taken into account in intrapartum care. This study was funded by the German Research Council. We are grateful to Paul Wenzlaff of the Chamber of Physicians of Lower Saxony, Centre for Quality and Management in Health Care, for support during data collection, and to Gertrud M. Ayerle for commenting on an earlier draft of this paper.